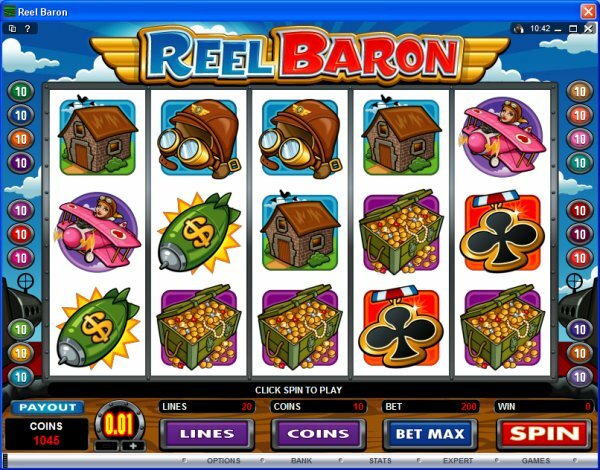 Overview: December 2008: With compasses, lucky medals and scarves in hand, you'll be taken on a flight you'll never forget. 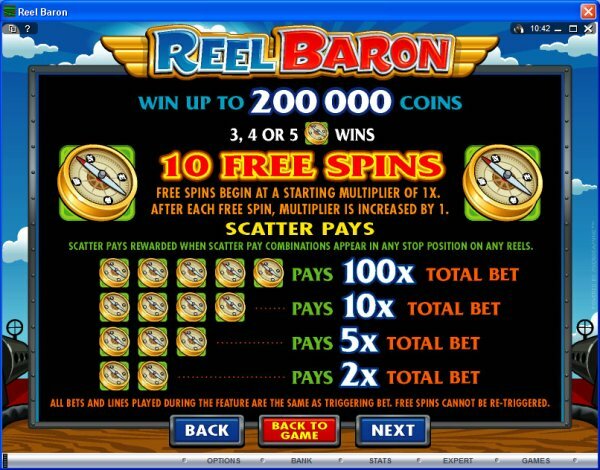 Have a seat in the cockpit and win your rewards. 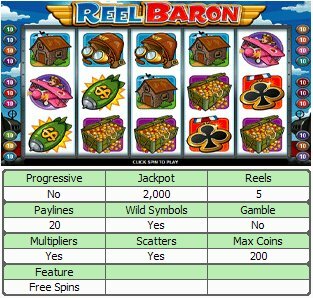 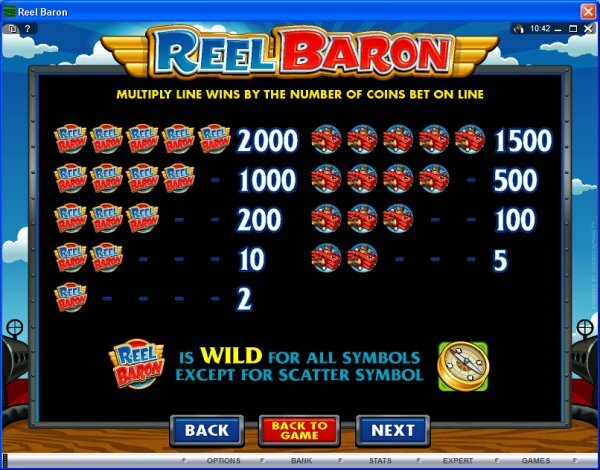 Similar Slots: If you like Reel Baron, you might like these other 5-reel slot machines: Buffet Bonanza, Little Chief Big Cash, Prime Property, Reel Strike, Spring Break.